Here's a simple, but highly effective sales strategy with a big payback for you. The first time I ever did it was very early in my career. My boss instructed me to go on a sales call with Alice -- a trainee who’d stumbled onto a big opportunity -- and teach her how to beat the competitors. Aargh! I wasn't ready for that. I didn’t know much about the other vendors, but I knew we needed to win. Plus, I didn't want to look stupid in front of a trainee. For the next two days, I immersed myself learning everything I could about the competition. I studied how they stacked up against us. I talked to experienced reps to find out about pricing and strategy. Finally, I figured out how to engage the prospect in a conversation that made us the obvious choice. My head was spinning. Before we went to the meeting, I reviewed everything with Alice. I outlined competitive strengths and weaknesses. I overviewed our plan for the meeting. Then answered her questions. After that, we went to their office. Inside, I was a nervous wreck. Fortunately, it didn't show. Two hours later we walked out with a signed contract. I was never so relieved in my whole life. Here’s what teaching Alice did for me. I became an overnight expert in two competitors. I pulled together a rock solid, step-by-step strategy for the meeting. I figured out how to explain what I was doing to a rookie -- and why. As a result, I leapfrogged in my own sales development. I know it seems strange to recommend teaching while you’re still learning yourself, but the benefits are huge. Doing this helps them find gaps in their own learning too. Plus, they’re more motivated to master the material. That’s exactly what happened to me. Teaching does that to you. So here's my challenge to you. What do you really want to (or need to) learn about in more depth right now? And, who can you teach it to? Look around. Get creative. 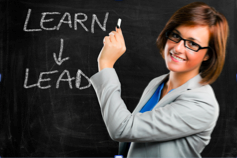 But most of all, start teaching so you can quickly learn how to be a top seller.